November 19th was the 40th anniversary of Sri Chinmoy’s Jharna Kala – “Fountain Art”; this anniversary was observed around the world. 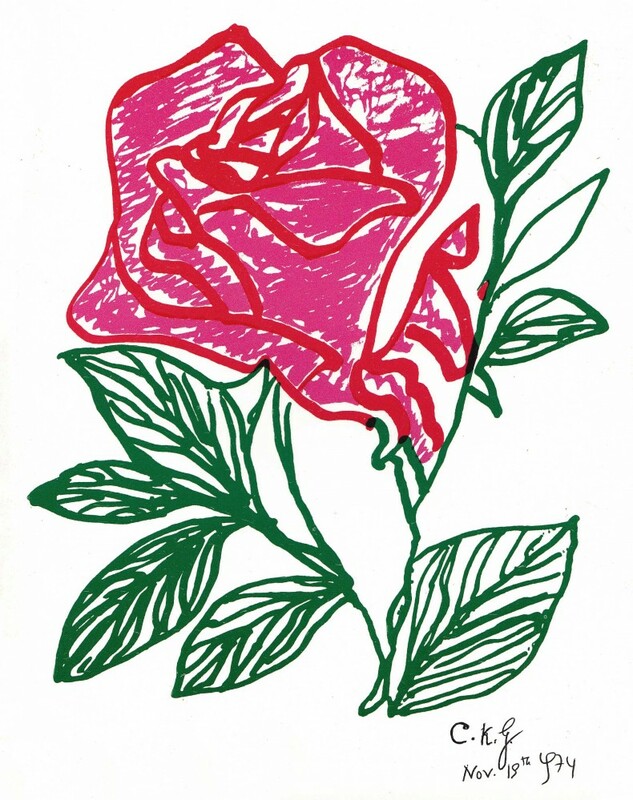 40 years ago Sri Chinmoy created this rose drawing in a hotel room in Ottawa (Canada), the first drawing in the West. “Jharna-Kala” is the Bengali name Sri Chinmoy chose for his artwork. 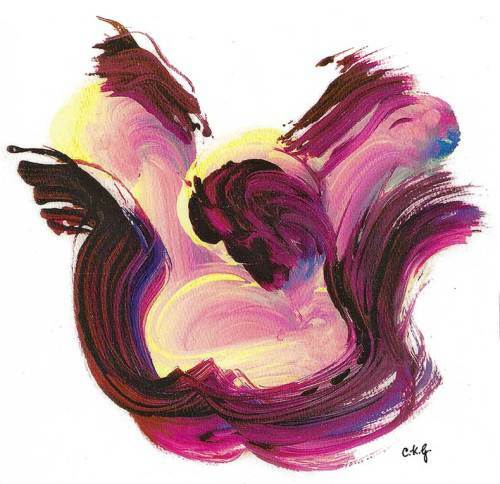 The English translation is “Fountain Art” – which signifies art flowing from the source of creation, flowing from the inspiration he receives in meditation. Recently, members of the Sri Chinmoy Centre observed the 40th anniversary of Sri Chinmoy’s art. A two days workshop was given by Stutisheel Lebedev, eight time finisher of the world’s longest road race, The Self-Transcendence 3100 Mile Race. He has being practicing meditation for 23 years and has discovered a natural and almost unlimited source of energy coming from within. 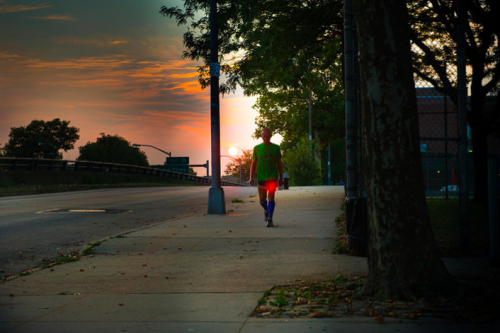 He shared his inspiration to not be afraid of dreaming and achieving the impossible. 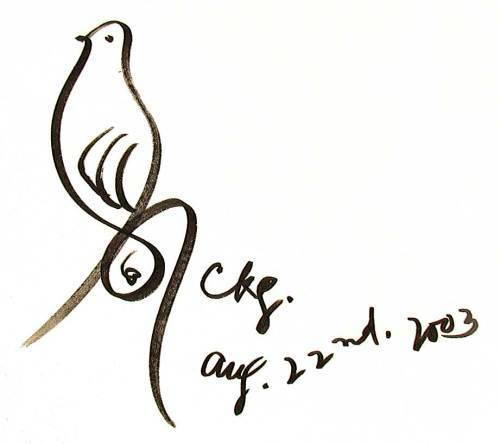 August 27th marked the 83rd birth anniversary of Sri Chinmoy; this year 2014 also marks the 50th anniversary since Sri Chinmoy’s arrival in the West in April 1964. To mark the special anniversary, students of Sri Chinmoy met in New York and took part in various activities as part of a two week long celebration. This included making the world’s longest flower garland. 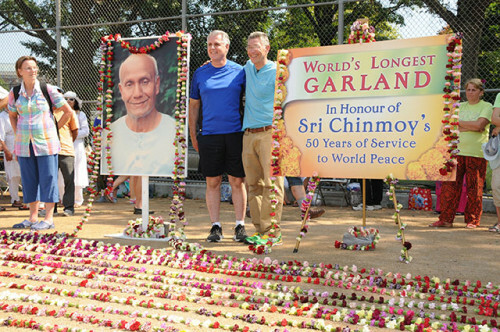 A team of 200 volunteers, led by Ashrita Furman worked around the clock to create a new Guinness world record for a flower garland which totalled 5 miles (8.046 km) in length. After the record was documented, the flowers were re-used to create a stunning ‘room of flowers’ in a nearby driveway. 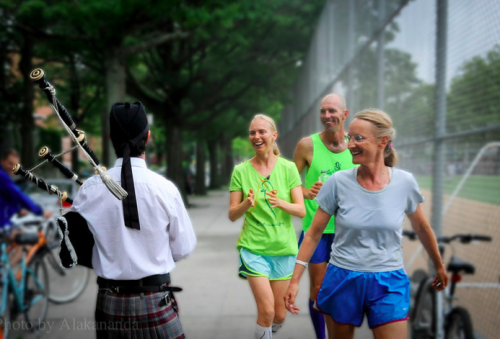 Other activities during the August celebrations included the Sri Chinmoy Self-transcendence marathon in Rockland State Park and a Songs of the Soul Concert in Manhattan New York. Free meditation classes is given by Executive Director of the “Sri Chinmoy Oneness-Home Peace Run” – Salil Wilson. Meet Salil, one of our class presenters, in the video below.